Can Christian service really change a student's life? Absolutely! There is no better way to build a Christian faith and to grow spiritually than by putting faith into action. The Western Reserve United Methodist Church annually sponsors youth mission's trips to various locations throughout the eastern United States. Our youth have gone to North Carolina, Pennsylvania, Michigan, Illinois, Kentucky, New Jersey, Rhode Island, Wisconsin and Ohio. These trips have been life changing for everyone involved. During the summer of 2016 we traveled to a Workcamp in Madison, W.V. We were part of a larger group organized by Group Workcamps. This year, our youth are traveling to Woonsocket, R.I. from July 23-29. For more information, contact Jeff Pellin. 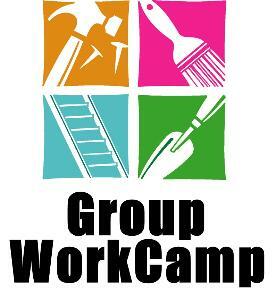 In June 2008 and June 2011, we hosted a Group Workcamps site called Mill Creek Youth Workcamp. In 2011, 375 youth from all over the country came to Youngstown to do renovations on 60 houses in the area. Western Reserve Church solicited grants and obtained other donations to make this mission event possible. Workcamps are week-long Christian mission camps where your group will serve people in need through challenging home repair projects. For six days, you’ll join other youth groups to repair sagging porches, rebuild unsafe steps and wheelchair ramps, and paint homes. You’ll transform a house and God will transform their faith. These summer mission trips are high-energy and action-packed, yet powerful and life-changing. Workcamps are big: some camps have upwards of 450 kids participate which creates big energy and excitement throughout the entire week. At a Workcamp, we organize everything for you (including cooking and cleaning) so you and your group can focus on working hard, having fun, and growing closer together as a group. As you obey Jesus’ command to “love your neighbor” through selfless service, you'll bring hope to people who desperately need it. It’s a powerful experience…and a launching point for a faith that’s deepened, renewed, or even begun for the very first time.